Timely news, insights and education to help public and private sector leaders execute initiatives to manage information risk and safeguard their enterprises' information assets. 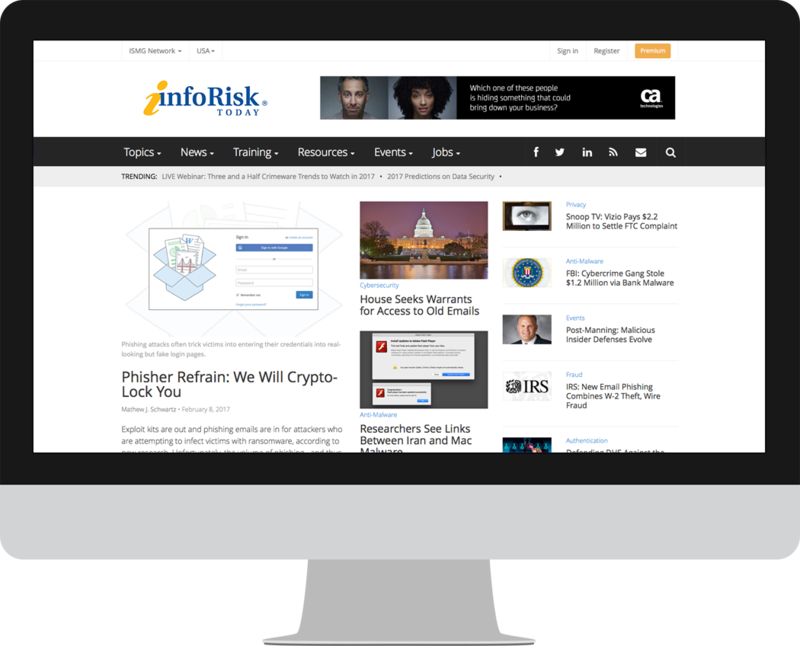 Drawing insight from top experts in the field — such as Ron Ross of the National Institute of Standards and Technology — InfoRiskToday tracks the latest trends in information risk management and security in the U.S. as well as in the UK, EU, India and Asia. Ready to reach the world's largest network of IT security & risk management professionals?